Giannino In San Lorenzo is a restaurant in Florence specialized in traditional tuscan recipes and middle-Italian cuisine. 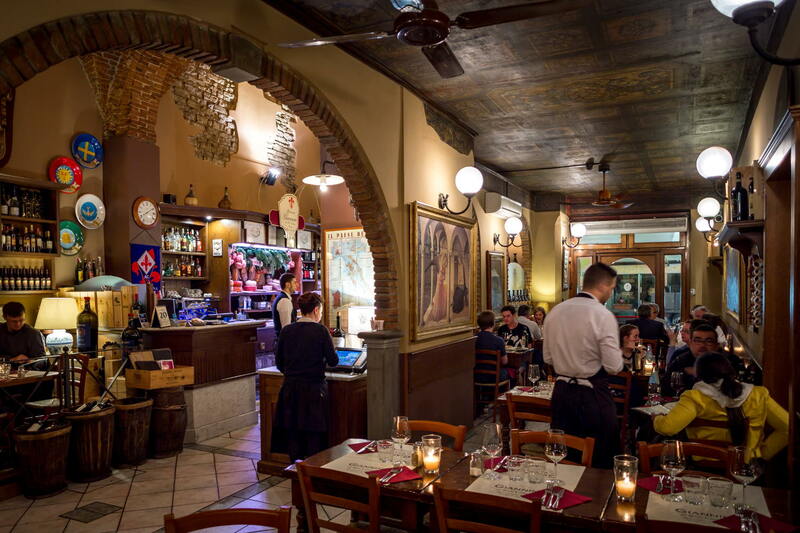 The restaurant is located in the very busy and historic Borgo San Lorenzo Street, right next to the Church of San Lorenzo. The restaurant is built from an old open gallery of the 16th century that used to be a small market back in the day. The restaurant was born in the twenties and it used to be called “Old Tavern” by the locals in the old Florence. Today Giannino is still dear to the regular local customers and the appreciation is shared with the visitors as well, who feel welcomed by a traditional environment and a warm hospitality, characteristic of our distinct culture. Our restaurant in Florence has expanded quite a lot in the past few years cuisine-wise, incorporating more niche traditional Florentine dishes that are not very well-known around the world. Of course everyone knows that our city is very famous for the florentine steak, Giannino is one of the best steak restaurants in Florence, but we offer our customers also some of the less known dishes that are delicious as well. Here at Giannino we tried to gather a selection of countryside dishes that we think best represent our beautiful region. This truly offers a wide perspective on our traditional and authentic tuscan cuisine, not just the typical tourist dishes that everyone serves. At Giannino you can taste the authentic florentine cuisine; we serve traditional dishes such as the florentine steak, the florentine tripe as well and quite the amount of local wines from our wine cellar currently furnished by the best vineyards that Chianti has to offer! Right in the heart of our city, Giannino Restaurant in Florence is only a few steps (really!) from the Duomo Square, the Basilica and the famous open air market of San Lorenzo, in the Medicean San Lorenzo district.